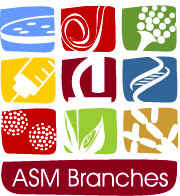 The Spring Meeting of the Michigan Branch of the American Society for Microbiology was held on Saturday March 28, 1998 at the Parke-Davis Pharmaceutical Research Center in Ann Arbor, Michigan. Five research lectures were given including two by ASM Foundation Lecturers (Don Morrison and Vojo Deretic). In addition, three students research posters were on display. The meeting was organized by James Saunders and attended by over sixty participants. In addition to the research presentations, the annual Branch business meeting was held during the luncheon. Discovery and Optimization of HIV Protease Inhibitors - Compounds that treat HIV infections based on inhibiting HIV protease activity. Intrapatient Sequence Variation of the gag Gene of HIV-1 Plasma Virions - The illucidation of gag gene structure and the implication in therapeutic strategies for gag gene targets. Streptococcal Competence for Genetic Transformation: Regulation by Peptide Pheromones - The discovery and application of a small, stable, inexpensive peptide pheromone that acts as a quorum sensing signal which induces competence under a wide variety of conditions and in encapsulated strains. Regulation of Listeria monocytogenes Virulence Gene Expression Within Host Cells - A model system for studying how intracellular parasites control the expression and function of gene products necessary for virulence. Mycobacterium tuberculosis Phagosome, rab Proteins and Intracellular Trafficking - Models for microbial pathogenesis in chronic respiratory infections.